Warning: this review contains major spoilers. If you’re interested in my thoughts on this book, just take a look at the star rating (4/5 if you’re reading this on my blog) and then read the book first. Which you’re doubtless going to, if you’ve made it this far already. This review is more of a discussion for anyone who’s already read it. (Apologies for censoring stars if you’re reading this review on Amazon.) I had to explain to someone at work why I was laughing at this line when I read it on my break. All I said was I’d found the kind of sci-fi joke that makes other authors jealous. So to the serious stuff then: this is the book that brings the characters of Heretic and Defiance together, tying their stories up for a common purpose: preparation for war. Aliens are finally introduced, in the right place, and there’s some interesting use of a variation on Rare Earth Hypothesis early on in the book. Some readers have criticised the series saying that the hard science either isn’t hard enough or is just simply wrong, but my argument is that I’m reading science fiction rather than science fact, and Lucas Bale’s twisting of such ideas is part of the meat that’s often added to the bones in this increasingly complex and lengthy series – and I’ll take a moment of ego trip here and say that I called this in my review of Heretic. What started as a fast paced narrative with a seemingly simple setup has now slowed (albeit only very slightly) and become the foundations and first floor of full on space opera. There’s potential here for this series to snowball, and I’d like it if it did go for Hamilton-esque scale in several more books, even though I’m only aware of one forthcoming title. 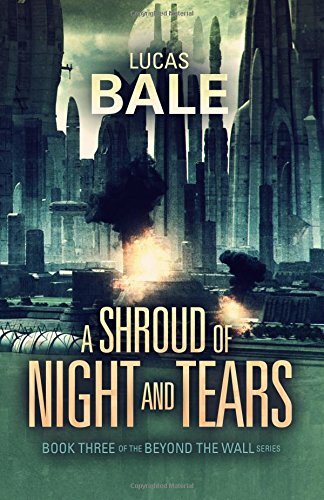 The economy of Bale’s style that I praised before is still here though, and I expect it will all be wrapped up in a neat package in his forthcoming book. Some characters develop in this book and others stay the same. I personally liked this: not every character is meant to change, and with an ever increasing cast it’s far better to have these changes only when they’re natural and fitting with what’s going on. They always are. Weaver in particular shines with this one again – there’s a terrific scene where he takes on the role of a revolutionary and says ‘Hope fades where oppression remains.’ suggesting that perhaps he understood revolutionaries and their mentality even back when he was fully devoted to the Caesteri, forcing the reader to question which version of him is really the act now. Likewise, Joedi’s actions at the end joining up with Skoryk raise the same questions. I could afford very much the same praise given to the first two books. The one thing stopping this from being a five star review is that I simply didn’t get the same addiction to it that I got from the first two books combined. It was rather like the reading equivalent of getting used to a new and more powerful car: it’s like a rocket for the first few drives but once you’re used to the speed you’re already saying ‘Come on come on!’ when your foot’s on the floor. I got this in the last 3rd of the book but for the first 2 things ran out of pace a little bit. This shouldn’t matter though – it’s a fair trade for the complexity of plot and diverse locations now coming into play. I look forward to the next book.